Mini Cakes baked in ramekins and decorated with vanilla frosting and fresh berries or sprinkles. 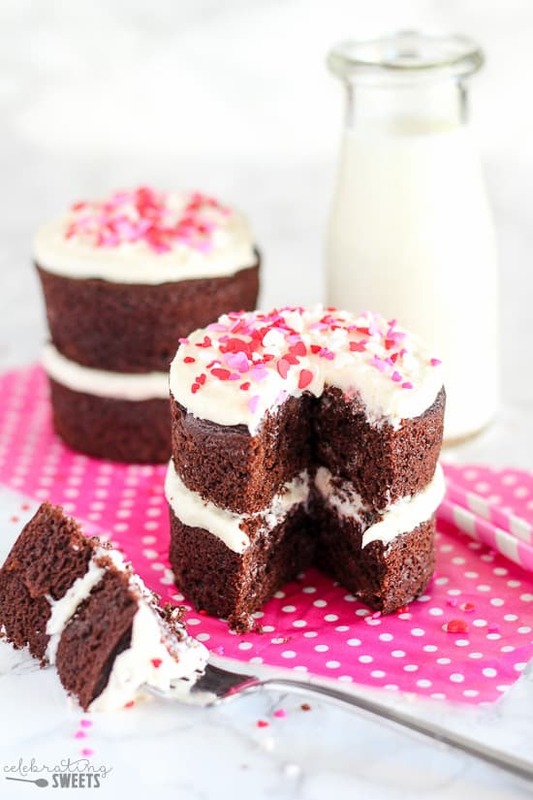 Serve as single layer cakes or double layer cakes. Perfect for Valentine’s Day, anniversaries, or as a smash cake. Hello there! I’m stopping in with one last Valentine’s Day recipe. Although I am not the hugest fan of Valentine’s Day, I am a HUGE fan of chocolate (duh). Soooooo, I will not turn down the opportunity to bake, eat, and share some chocolaty goodness this Valentine’s Day. That brings me to these adorable Mini Cakes! No special cake pans are needed for these cuties; the cakes are baked in ramekins. I’m sure you have some ramekins lying around. Grab them from the back of your cabinet, whip up this easy one-bowl chocolate cake batter, and before you know it you’ll be diving into chocolate cake. I used 7-oz (4 inch) ramekins, which made 4 miniature cakes. You can either serve the cakes in single layers or you can double them up and make two double layer cakes. I’ve included a recipe for a small batch of vanilla frosting, which I simply spread on the cakes with a butter knife. 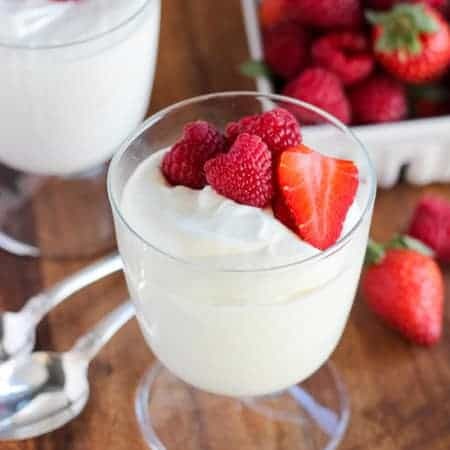 Top the cakes with fresh berries or sprinkles, and serve them to someone you love. 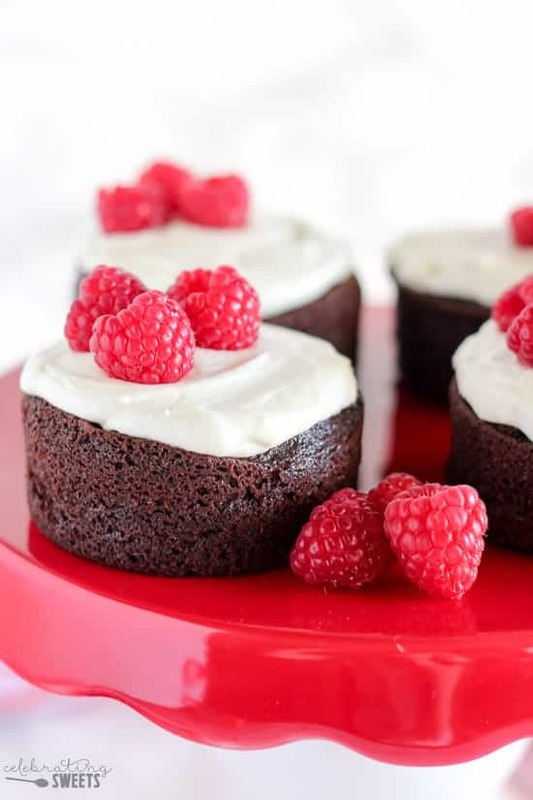 These mini chocolate cakes are great for Valentine’s day, anniversaries, or as a smash cake. And since this recipe feeds just a few, you really don’t need a reason to make these. The fact that it’s a Thursday is reason enough. 😉 Enjoy! You might also like: Small Batch Vanilla Cupcakes, Small Batch Chocolate Cupcakes, Small Batch Fudge. Miniature chocolate cakes baked in ramekins and decorated with vanilla frosting and fresh berries or sprinkles. Serve as four single layer cakes or as two double layer cakes. 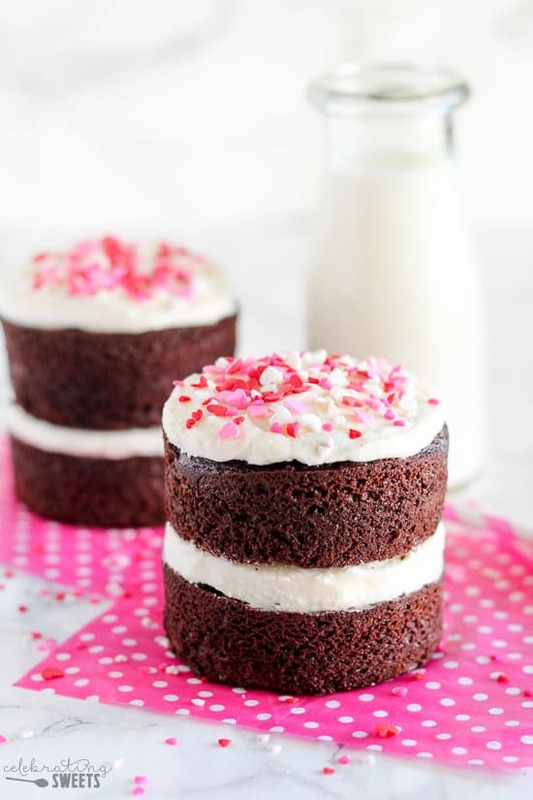 Perfect for Valentine's Day, anniversaries or as a smash cake. Fresh berries or sprinkles for decorating. Preheat oven to 350°F. Line the bottom of four 4-inch (7oz) ramekins with rounds of parchment. Grease the ramekins well. Set aside. With a stand mixer or hand mixer, combine sugar, flour, cocoa powder, baking powder, baking soda, and salt. Add egg, milk, oil, and vanilla extract and beat for 2 minutes. Add hot coffee or hot water, and beat until just combined. The batter will be thin. Divide evenly between four prepared ramekins (I used a little over 1/3 cup batter per ramekin). Bake for approximately 20 minutes, until the top springs back when you touch them, and a toothpick inserted into the center comes out clean. Transfer the ramekins to a wire rack to cool completely. Run a thin knife around the edge of each ramekin and carefully remove each cake. With a serrated knife, gently cut the dome off the top of each cake. Discard or save the cake scraps for another use. For the frosting: Beat powdered sugar and butter until smooth. Add vanilla extract and 1 teaspoon of milk. Beat on medium speed for a minute or two, until light and fluffy. If the frosting appears too thick, add an additional teaspoon of milk. Spread the frosting onto the top of each cake. You can leave the cakes in a single layer or stack them to make a double layer cake. Decorate the top with berries or sprinkles. The flavor of the coffee will not come through in the cupcakes. The coffee flavor will help intensify the chocolate flavor. If you'd rather not use coffee, you can substitute hot water. This are soo cute! 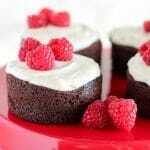 I love all these Valentine (and other occasions) dessert ideas you have posted. What a great idea to give someone for their birthday…to celebrate their day,but not over doing it with a big cake. I’ll definitely be using THIS idea!! Thanks for another GREAT post! Thank you, Char! You are so kind. 🙂 I hope your Valentine’s Day is extra sweet! I am loving the recipe for your cake–I can tell so moist and flavorful. Adding coffee is such a great tip. These are beautiful too–totally inspired me! 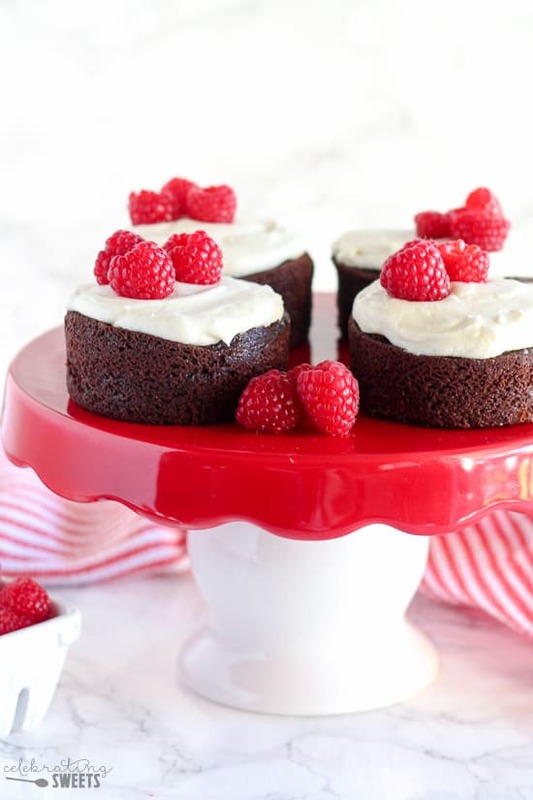 These little mini cakes are so festive and adorable, Allison. I think I’d feel less guilty eating one of these than a whole piece of cake. And I will definitely be using the coffee, it really highlights the flavor of the chocolate! Have a great weekend! 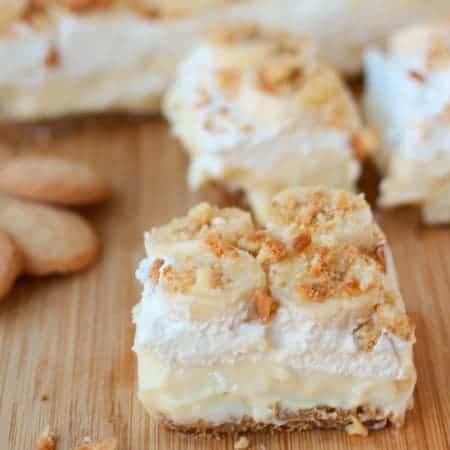 Do you have a white cake version of these? I have a recipe for a small batch of vanilla cupcakes. 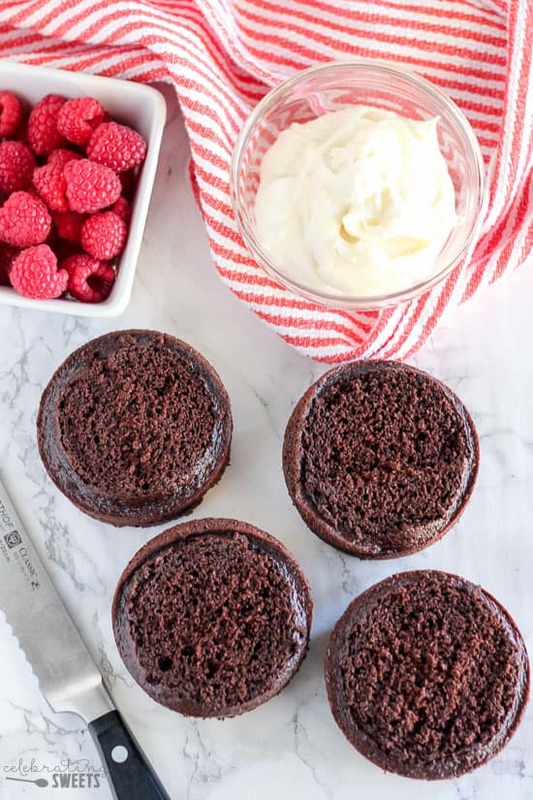 You might be able to put the batter into ramekins instead of cupcake liners. I can’t say for sure though, as haven’t tried it that way. Ahh, how cute!! These would make great princess cakes for my kidlet’s birthday party! Yes, they would. Great idea! Could you make the batter ahead of time? perhaps in the morning? and bake after dinner? what does cup heaping 1/4 mean?…one and one fourth or just one fourth a cup? Hello. Sorry about the typo. It should be heaping 1/4 cup. I have adjusted the recipe. Thanks for pointing that out to me. I have tried your recipe..awesome! My boys love these little mini chocolate cakes. Thank you for sharing. I made these tonight. 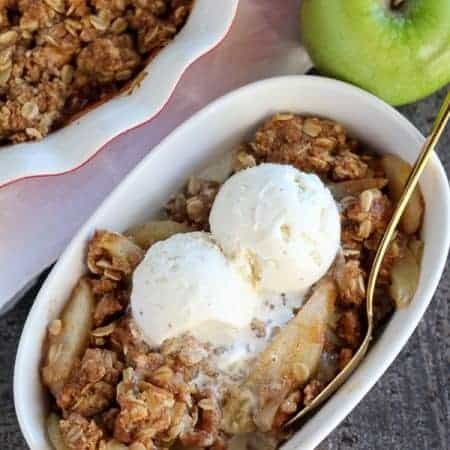 Simple, and delicious! I needed to double the frosting, and I used almond flavor instead of vanilla. Absoloutley love the recipie! Already made it twice! It’s super easy and turnes out perfect! Although instead of making 4 7oz cakes I only make two 14oz cakes and just eat them out of the ramekin lol. But either way still now my go-to recipie! Perfect! I’m so happy to hear that. Thanks for stopping by.